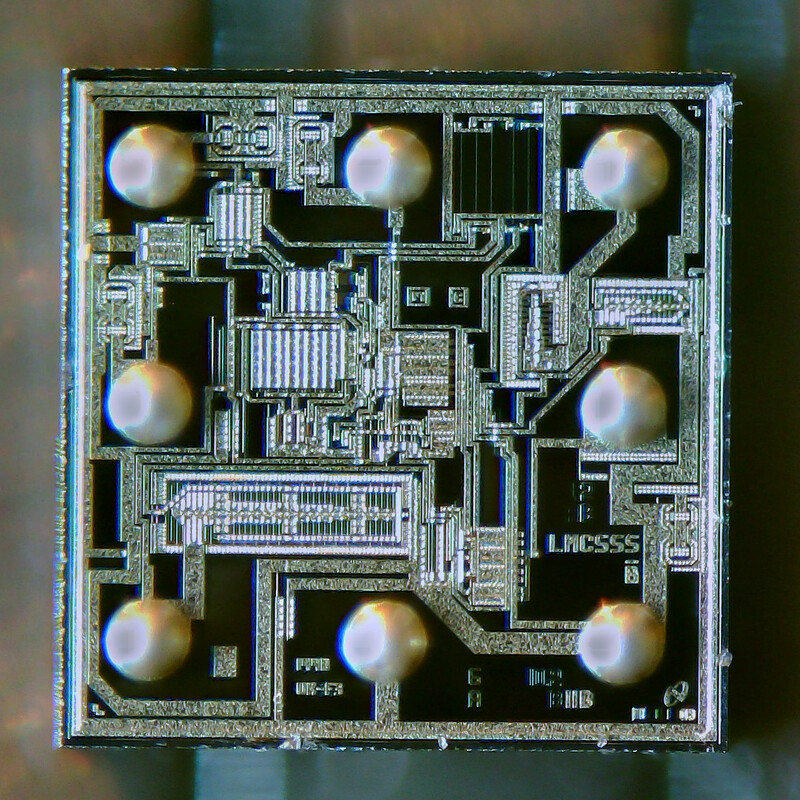 LMC555 timer in die-size ball-grid-array (DSBGA) package. This is a flip-chip. 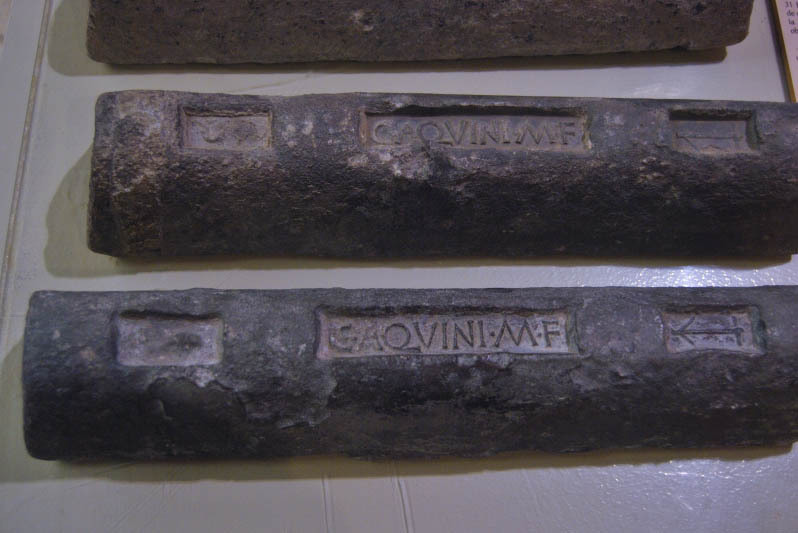 Ancient Roman lead ingots, which emit very little alpha radiation. This was an interesting read, i didn’t know that radioactivity was such a big problem for some packages. I have very mixed feelings about WLCSP and stuff like this. On the one hand you can make really small electronics, process really high frequency signals and so on, but for a hobyist(??) it’s more like a nightmare. How do you solder it? And i don’t even talk about breadbording. Yeah, they might be some breakout-boards avaible, but still, not great for hobyists. 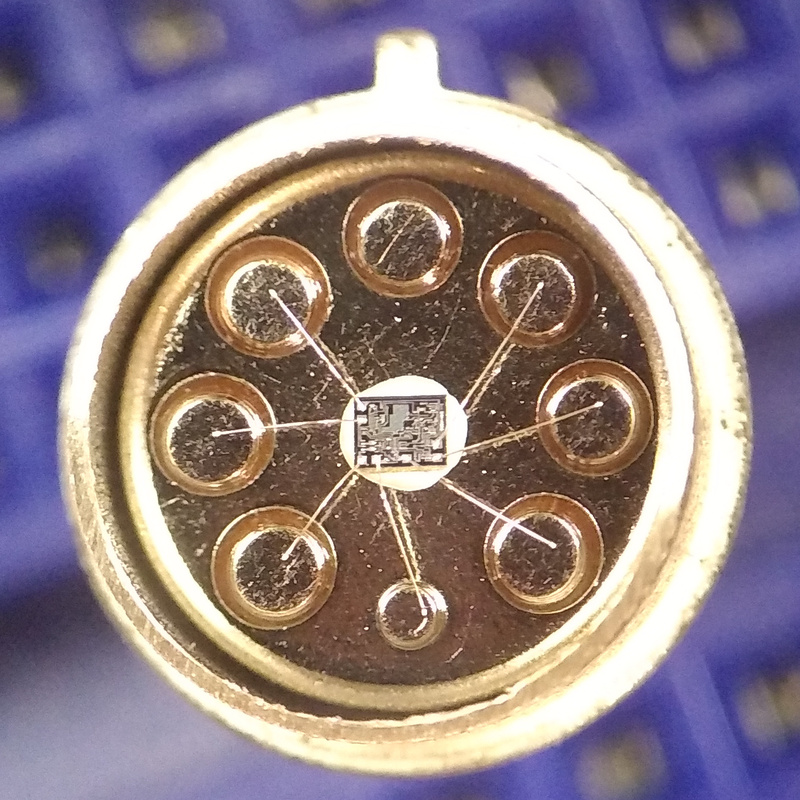 I had do solder QFN recently, not fun. ECC memory doesn’t save you if the bit in question is in a register (which is just memory) or the strike flips a gate somewhere in the data path. Memory is the most easily impacted component, but not the only. There are a couple of processor architectures which avoid this by doing data checking throughout the data path, but they have not been all that popular. (latest SPARC for example). The reason memory is the “most easily impacted” is primarily because the error is observable (it gets saved in the memory) plus memory is likely the highest density circuitry on a chip (better chance for the particle to hit something important). Other parts of the data path are affected, but it is difficult to capture one event that might happen every few days. There’s some info that seems to be lost about ECC memory, regardless of whether it’s a hard or soft error:  Most ECC can only repair one bit  the longer memory is idle, the more likely it gets multiple errors in an ECC cell. These can be mitigated by continuous background memory “scrubbing” operations that simply read a cell and then the ECC correction takes action if a cell is corrupt. This is more complicated in today’s multi-core processors, as memory tends to be pushed to the max already. IBM has done a lot of seminal ECC work. TI’s Hercules dual-core ARM can be used as a lock-step processor (actually, clocks are slightly offset) with internal ECC flash and RAM memory. Also, high altitude use of electronics can lead to more soft errors due to higher exposure to high-energy Cosmic radiation. These same WLCSP ICs also have issues with camera flash or bright lights reflecting under and causing crashes too. As for how to solder as a hobbyist. you can do it dead bug style for some, but mainly, you just hot air reflow it. I imagine a future where the beginner hobbyist starts with a reflow oven instead of a soldering iron. The vapour creeps unter the chip between the solder balls much better than a flow of hot air. There’s no need for name calling. I seem to recall that most of the initial alpha particle soft errors were due to “dirty” (e.g. radioactive) gold used in wire bonds and plated pads back in 1977 era. 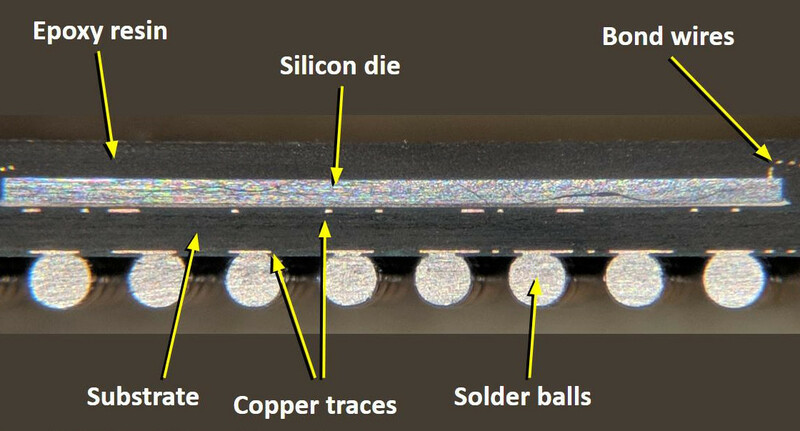 Back then, gold wires were ultrasonically (I believe) bonded to gold plated pads. The first “report” I recall reading that dealt with the topic was for a “state of the art” Mostek 4K (bit!) DRAM. I recall talking to an IC vendor back in 1978 who said: “our memory doesn’t do that” (i.e. have soft errors), so he definitely didn’t know what I was talking about. The Wikipedia article reference 2 on “soft errors” lists 1977 as the year alpha particle soft errors were initially detected. Back then, these chips were HUGE as were all their (tiny at the time), component parts, when compared to today’s devices. DRAMS used (still use?) high-resistance polysilicon resistors as loads to keep power dissipation low. This chips used much higher operation voltages and internal charges compared to today. One of the earlier fixes, BEFORE the radioactive gold was discovered, was to “passivate” dies with a polyimide coating. Most of this information is way too old for internet searches. Google needs to grab more old data books and digitize them (did ya read that Google?). There have also been instances of radioactive gold used in jewelry that resulted in finger amputations that held radioactive rings. None of the gold isotopes are alpha emitters though? Gold 195 was a candidate for a weapon as its half life is relatively short and the fallout would be benign after a while. As I said, this was a long time ago, and I don’t recall all the details, or if they were even given. There was no internet and easy data access, especially technical. I seem to also recall there was also radioactive “gold” (probably “dirty”) jewelry incident back in that time frame, and maybe some of that made it into the gold wire bond supply. I’m sure that all involved wanted to minimize blame and it’s accompanying financial risks. This era was when “routine” lithography used something like 5 um lithography rules, not the 6 nm of today. In my current perusals, I found an old NY Times article from 1983 about radioactive ceramic jewelry (from its Uranium glazing). Also, that Gold, Lead, Uranium, et al. are often found in deposits of pitchblende. A gold bond wire anecdote. A cousin worked at Micron Technology in Mountain Home Idaho in the 80’s. He told me about a guy who worked there in the chip fab and thought he’d found a way to get rich by stealing a spool of the gold bonding wire. Took it to a pawn shop in Boise. Didn’t bother to melt it, left the Micron labeling on the spool. Of course the pawn shop called the police. Cool article format. Reminds me of those old BBC tech shows that take you on a story and weave several topics together… like the Secret Life of Machines. I’m surprised about the RoHS solders having too much lead though. The amount of lead in modern solders has been reduced by three orders of magnitude (RoHS limit is 1000ppm but typically SAC305 is 26 years. In that amount of time, the decay actually results in a lower chance of a bit-flip, so it’s actually much much less likely, no? Not sure what happened to my comment. Re-posting because it was chopped up. I’m surprised about the RoHS solders having too much lead though. (RoHS limit is 1000ppm but typically SAC305 is 26 years. In that amount of time, the decay actually results in a lower chance of a bit-flip, so it’s actually much much less likely, no? Sorry, I guess is it the greater-than, less-than symbols that chopped up my comment? I’m surprised about the RoHS solders having too much lead though. The amount of lead in modern solders has been reduced by three orders of magnitude (RoHS limit is 1000ppm but typically SAC305 is 200ppm) so the probability of a bit flip is now basically nil. If an EXTREME case before would see an average bit-flip occurring every 230 hours, it’s now 26 years. In that amount of time, the decay actually results in a lower chance of a bit-flip, so it’s actually much much less likely, no? 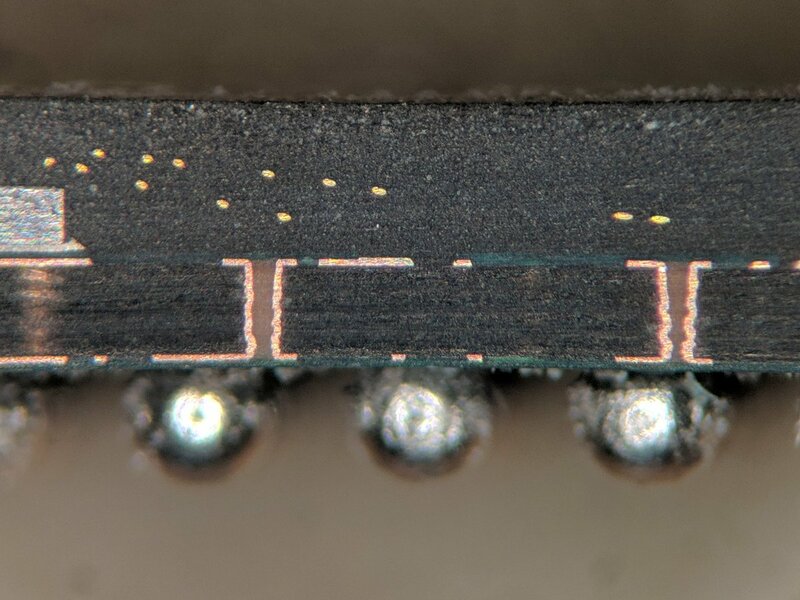 The end of the article should have stated next time you try to solder anything on a board, regardless of the chip package, first and always first, GROUND YOURSELF BEFORE YOU DO ANYTHING. because it seems like the error in which occur as mentioned in the article seems if those individuals are not properly following procedures on IC work. the MILITARY will be the one using those items due to the stability of those components. 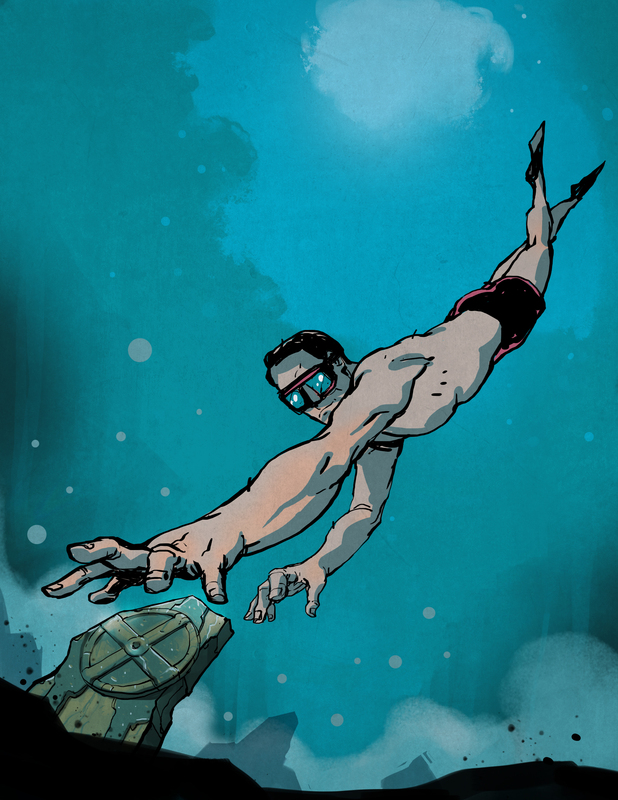 I’m sorry but I don’t believe you that Brian was the one to discover the Antikythera mechanism.